Hi, friends! I've got a bit of a photo heavy post today. 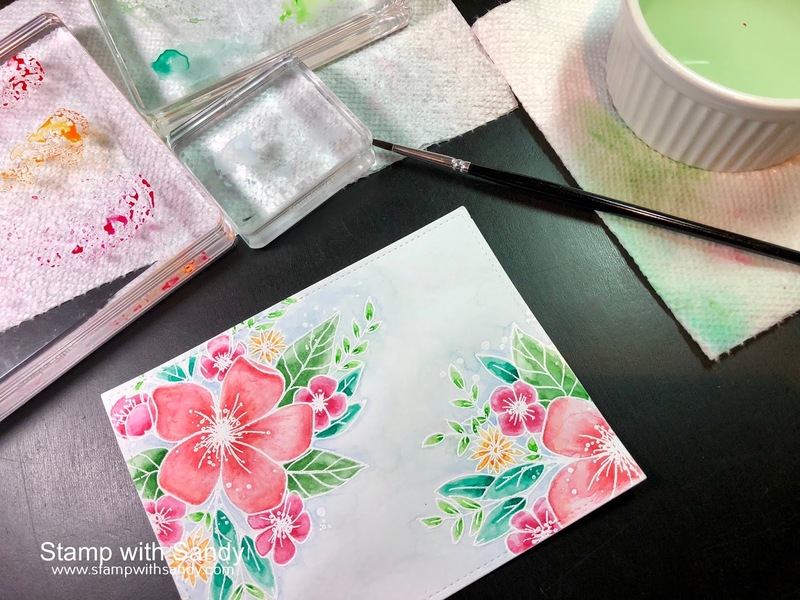 The card I have to share was inspired by two challenges, and a new set of watercolors. I used the Hello Lovely stamp set from Concord & 9th, and heat embossed the floral images onto watercolor paper. 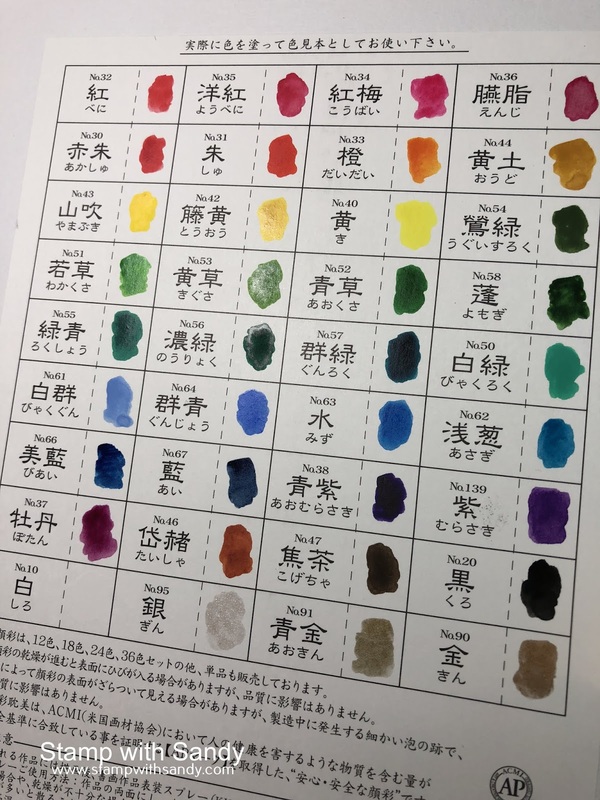 For Mother's Day, my son gifted me with this gorgeous set of Kuretake Gansai Tambi watercolors. Actually, it was supposed to be a Christmas gift but apparently they took quite a while to ship from Japan! 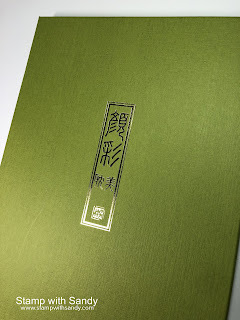 Even the box is gorgeous, with a green linen finish and gold embossing. Here's what they look like inside, clean and untouched, but I'm about to fix that! I love that the pans are removable. 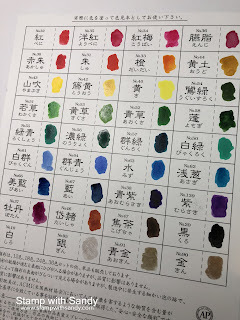 The inside of the lid is designed with a place to sample each color and see what they look like on paper. The colors are so rich and highly pigmented that you need very little. Back to the card - I used some clear blocks for my palette, and had fun trying out my watercolors for the first time to make a card. I built the colors up gradually, which is something I love about watercoloring. I have a lot to learn though, and I see a lot of YouTube videos in my future! 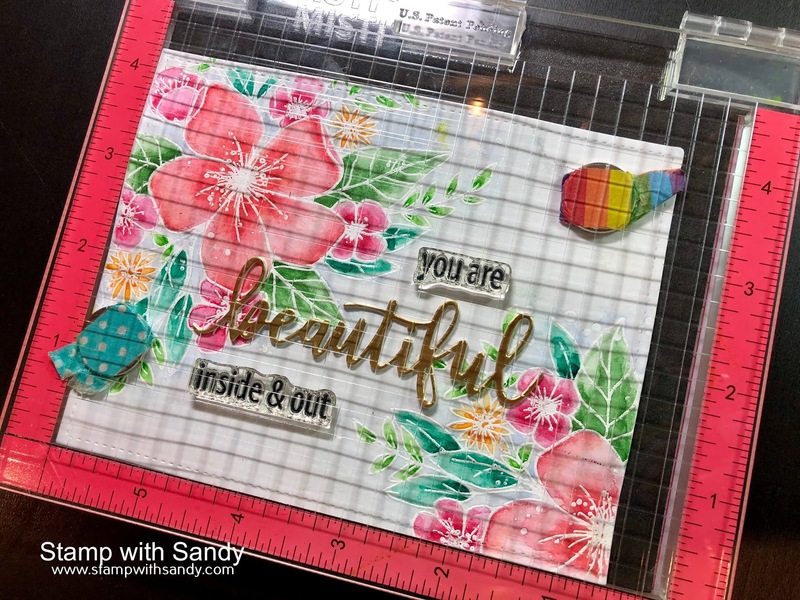 As it is sometimes hard to stamp a crisp image onto watercolor paper, I used my Misti so I could stamp the sentiment twice. Here are the challenges that inspired me. 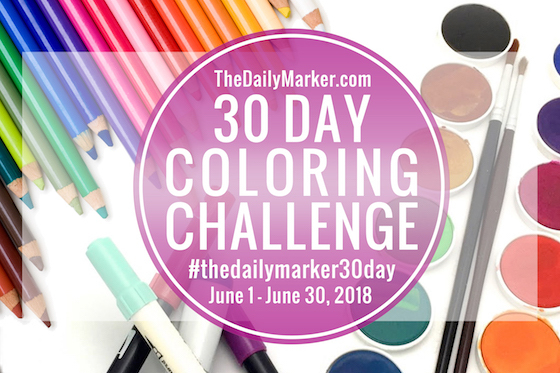 At the 30 Day Coloring Challenge, the goal is to color something every day, even if its only for 10-15 minutes. I've played along with this challenge before, but this time I wanted to really make a commitment to do it every day and learn how to use my new set of watercolors. At The Flower Challenge, they'd like us to chose a previous challenge. 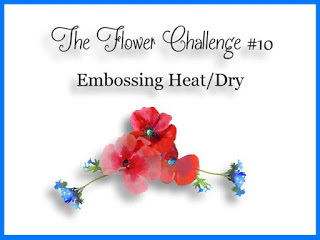 I chose #10 - heat embossing. If you've made it to the end of this post, I thank you for hanging in there! Have an awesome day! WOWZA! 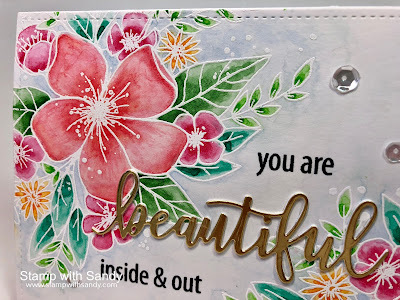 What a gorgeous card....IT is beautiful inside & out! Those colors are just beautiful! What a nice gift from your son, and I am sure you will enjoy "learning", although it seems as if your skills are pretty good right now! Beautiful my friend. I think water coloring is so soft. You lucky thing Sandy - what a fabulous gift! And such a gorgeous card too! 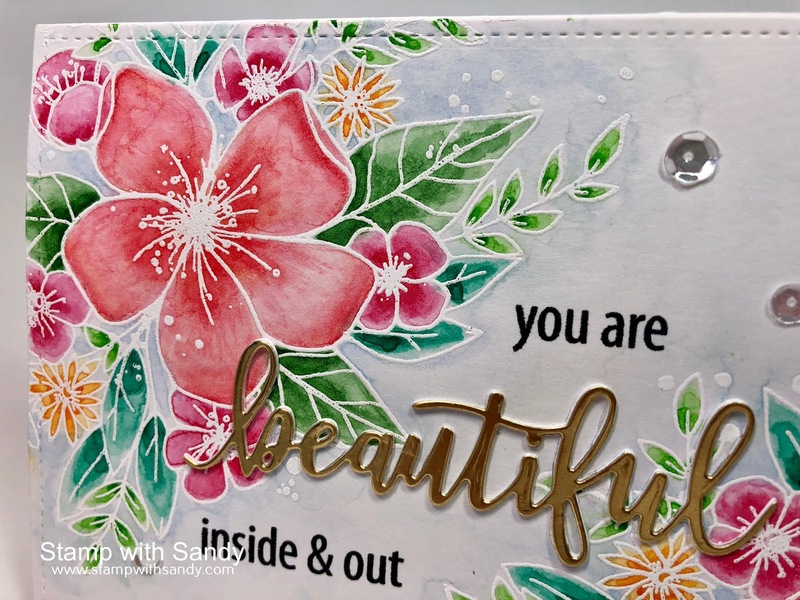 What a gorgeous card Sandy, I love the colours you have chosen. 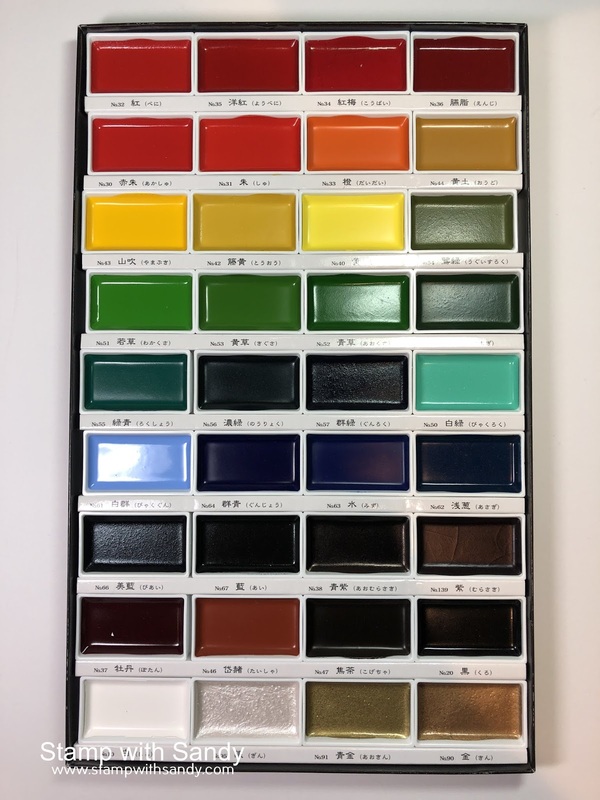 I have those paints and love them p, you are going to have so much fun playing with them. 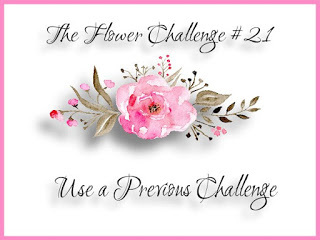 Thanks so much for joining us at The Flower Challenge this month. Sandy, this is simply stunning! 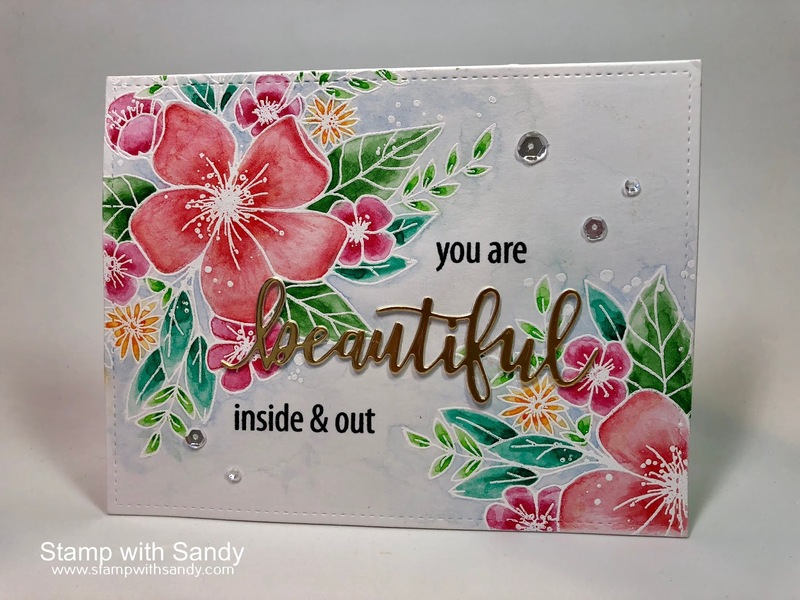 Gorgeous card Sandy. Love the beautiful flowers. You did great with the watercolors. I have that set also and have used it once. I need to try it again. Thanks for the inspiration. I am speechless! 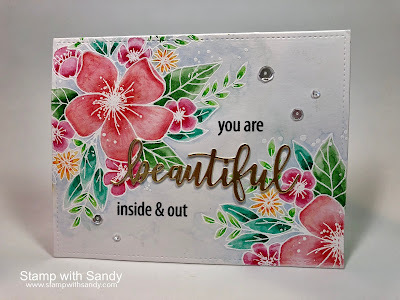 This is utterly gorgeous Sandy! What a great gift for your son, despite the wait! I am doing the coloring challenge too...but nothing I have done is a fraction as good as this is! Soooooo impressed!!! !